There wasn't a car like the classic Ford Mustang before it rolled off the assembly line in 1964, and there hasn't been a car like it since. It was aptly named the Mustang for its looks and the free spiritedness that the car seemed to possess. Mustang in Spanish denotes an independent horse, wild and free, full of vigor and grace, young and handsome, exhilarating to watch. The classic Ford Mustang's aesthetic characteristics paralleled the character of the country that manufactured it, suggesting the love of freedom and a joy of life that the Americans held so proud and dear. The classic Ford Mustang is a beauty to behold, available as a coupe or a convertible model and now you can even enjoy it in diecast model form from Silent Autos . Its resemblance to a Mustang, that horse of Barb, Andalusian and Arabian descent, was unmistakable. It could have very well have been an abstract of the horse itself, with its sleek, muscular body, narrowing ribs, its long hood, smooth, like the ridge of a Mustang's neck, slightly rising towards the front. Its dark, open mouth was protected by a shiny, chrome grill, and a thin strip of chrome outlined the mouth, much like the lips of the horse. The rear deck was compact and gathered like a Mustang's haunches. Even the headlights, set a mere few inches from the front, looked like the wide eyes of a Mustang in full gallop. The use of chrome to outline the windows and the chrome side stripes, that came with a later model, and finally the lower chrome stripes that stretched across the bottom of the doors provided that glimmer that made the whole car seem alive. Inside the classic Ford Mustang the driver and passenger sat in bucket seats. Two passengers could sit in the back, on a firm, but comfortable bench seat. The floors were all carpeted. Five gauges on the dash, a Mustang sports steering wheel, later to come in wood grain, and either automatic or manual transmission in three or four speeds, the shift knob whatever you like, the interior was empowering. The classic Ford Mustang was customizable, and Ford made sure you knew it. With the optional features available, customizing your Mustang became a form of self-expression. 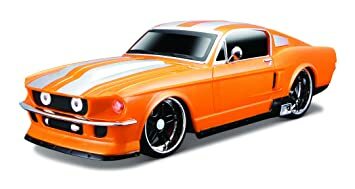 The classic Ford Mustang was designed for the creative and the young at heart. The classic Ford Mustang was sprightly, available in the six cylinder, 120 horsepower engine, or the 200 horsepower V-8. Later models increased the V-8's horsepower to 225. The pony ran smooth. Sometimes it ran a bit hot, but then it may have been because you loved to drive faster than you should! A symbol of the vibrancy of American Industry in the sixties, the classic Ford Mustang is today a proud, cultural artifact from the days of the post-American Camelot.